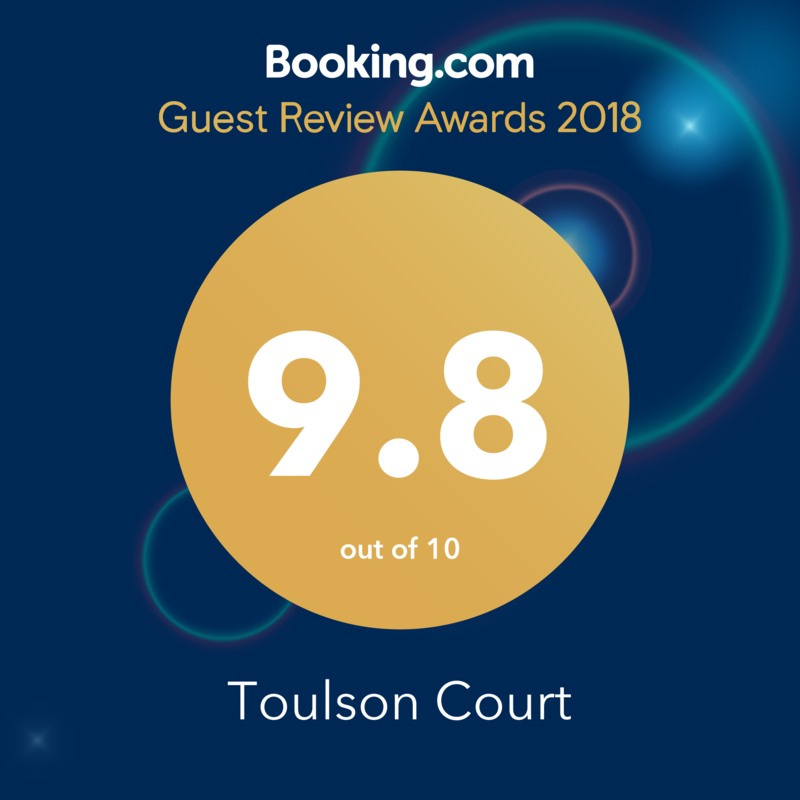 If you want a hotel in that gives that 'home from home' feeling, then Toulson Court is for you offering all year round top quality bed and breakfast accomodation in Scarborough. Our rooms have been recently renovated and finished with luxury hotel cotton bedding and soft cotton towels. We pride ourself on our warm welcome, cleanliness and attention to detail to ensure guest return time and time again. Enjoy a Delicious Yorkshire B &B breakfast or something lighter in our light, spacious dining room, then retire in our conservatory to relax. We are a friendly, private, family owned and run Guest House in Scarborough, offering most of the facilities you would expect from a small Hotel including FREE WiFi throughout. All rooms are en-suite with a flat-screen Freeview TV with built in DVD, a hair dryer, an alarm clock along with a refreshment tray for your convenience. We do have a large ground floor room available with only 2 small enterance steps perfect for those who stuggle to use stairs. We also have a private car-park for up to six cars, on street parking is also available and we provide free permits for this. Whatever your ideal holiday, you'll find it here and staying at Toulson Court bed and breakfast Scarborough, the perfect base from which to enjoy it all!